Online shopping addicts may have recently spotted that fashion retailer, Pretty Little Thing, has launched a brand new Beauty section to their website and they now stock a wide range of mainstream and indie beauty brands. 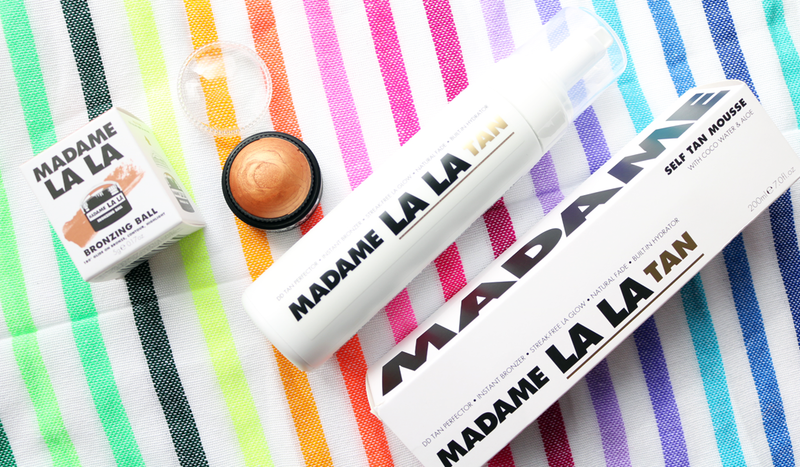 One such cult indie brand that has been added within the past month is Madame LA LA who specialise in luxury self-tanning products. I've used a couple of their tanners in the past with excellent results (check out my previous reviews here), so it's great to see them available with more stockists. To celebrate their launch onto Pretty Little Thing, they kindly sent me a few products to try out to give you an idea of what you can pick up from the PLT site. 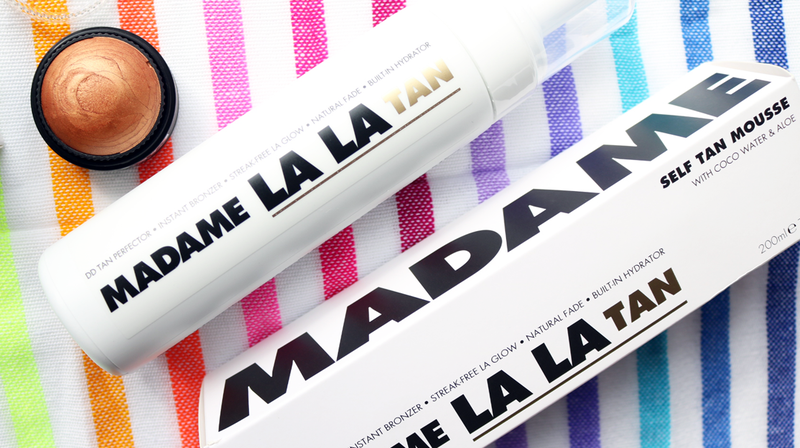 Self-tanning is what Madame LA LA is all about and their popular Self-Tan Mousse is definitely a hero product for the brand. It contains an innovative formula which features Coco Water, Aloe, Green Tea and Vitamin E to hydrate and nourish the skin, whilst the organic and natural based DHA gives you a beautiful Californian style tan. Not many self-tanning brands use organic or even naturally derived DHA, so it's brilliant to have this option more readily available if you're looking for a more natural based self-tanner. Mousse is always my top choice when it comes to tanning at home and this one is super easy to use, plus I didn't experience any problems with streaks or anything like that when I was applying it. It glides on smoothly, has a brown tint to it so you can see where it's going and is easy to buff into the skin with a tanning mitt. It does have a bit of a fake tan smell, but it's not particularly offensive to my nose and soon disappears after a few hours. This tan develops in around three hours, but I always leave it on overnight to get a darker and longer lasting result. Love it! 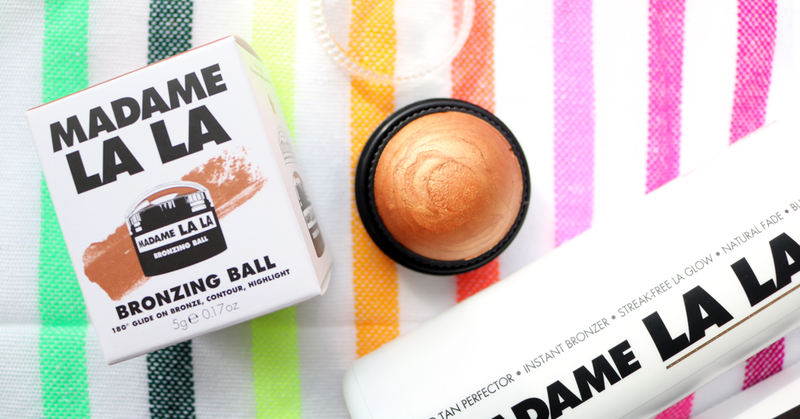 The newest product to the Madame LA LA range is this Bronzing Ball; a cream bronzer that you can use for contouring and highlighting. The domed shape means you can apply it directly to the face and then blend it out with just your fingers. I have to admit that I thought this was rather gimmicky at first glance and I wasn't sure about the colour, but it's surprised me! 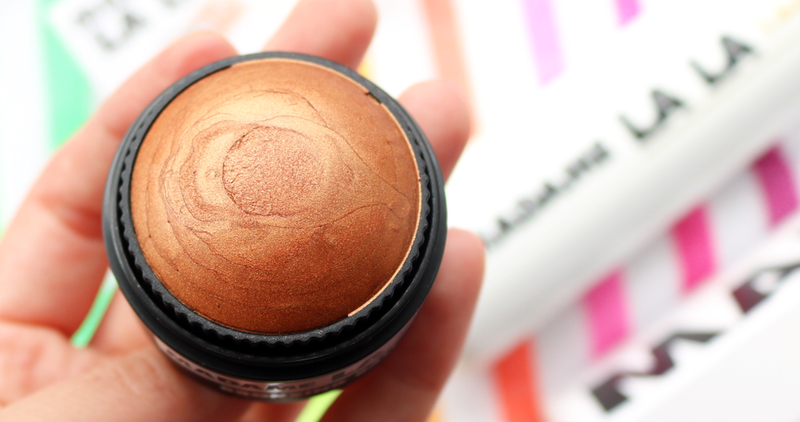 It's definitely the wrong shade for me to use a contour, but as it's more of a peachy-meets-golden bronze colour, it's perfect as a shimmery blush or warm-toned highlighter, especially on tanned skin. The ball was a little hard and felt waxy at first, so it did require some warming up with my fingertips before I could apply it, but after that, I've found it easy to use and it blends really well. A word of warning about the packaging though; when I threw this into my makeup bag I noticed that one side of the clear plastic lid had started to crack slightly, so I wouldn't recommend it for travelling with - best to keep it on your vanity or in your makeup drawer instead. 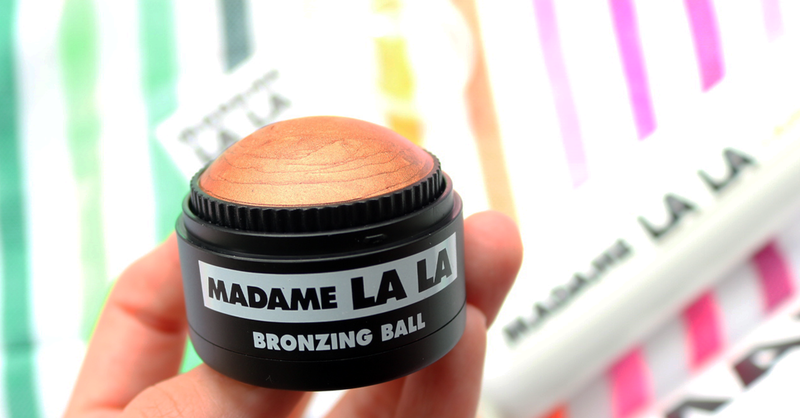 Madame LA LA Bronzing Ball - Swatches! Have you tried anything from Madame LA LA?